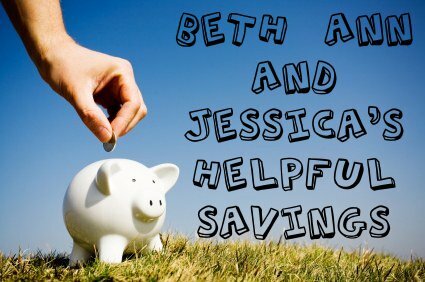 Beth Ann & Jessica's Helpful Savings: Jessica's New Year's Resolution: Live Off the Stockpile of Food! Jessica's New Year's Resolution: Live Off the Stockpile of Food! 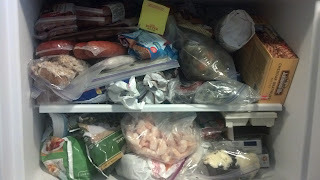 Ok, so I really enjoy stockpiling food year round, but especially for the wintertime so that I don't have to go out in the snow for things. I work at home ("day job", which is actually evenings) and so during the winter, if I don't have to go anywhere, I won't! 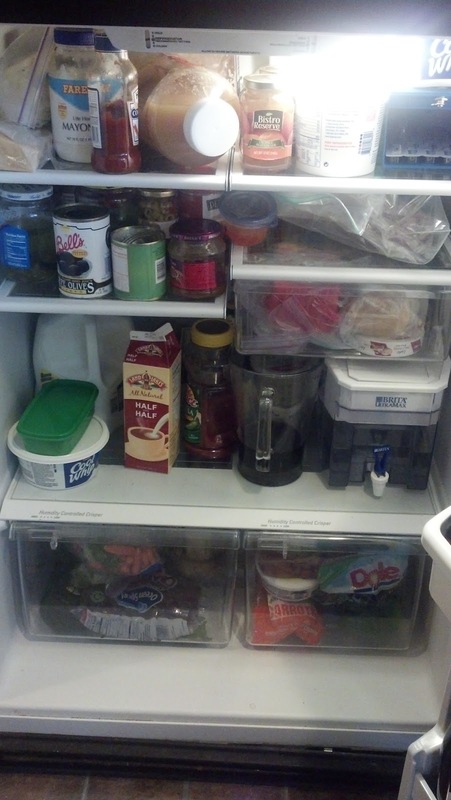 I have taken pictures of both of my food cupboards, my fridge and deep freezer. My freezers are both full of stuff that I've cooked in the past few months and couldn't finish (I cook for an army so that I only have to cook a couple of times a week), and also things I've gotten on discount, along with fresh frozen tomatoes from the garden and homemade tomato sauce. I've averaged about $300 a month for food over the past year or so, which also includes pet food and cat litter. 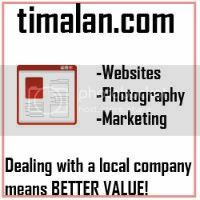 90% of the time, I use coupons or some kind of discount. 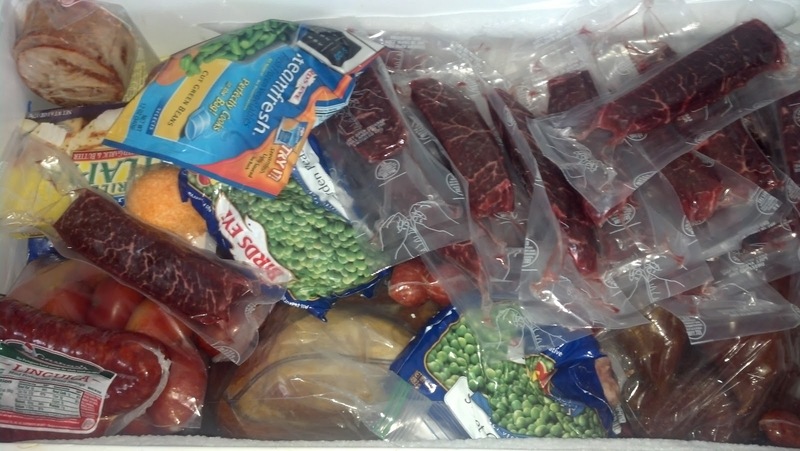 I do buy a lot of fresh fruit and vegetables, but I think I can manage with frozen for a while. 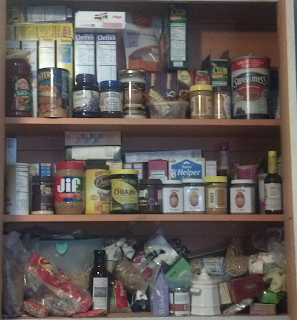 My cupboard, which did have way more cereal (like 25 boxes), has become increasingly bare over the past month or so. I plan to continue making my own bread, and I will try to remember to post recipes! 3. 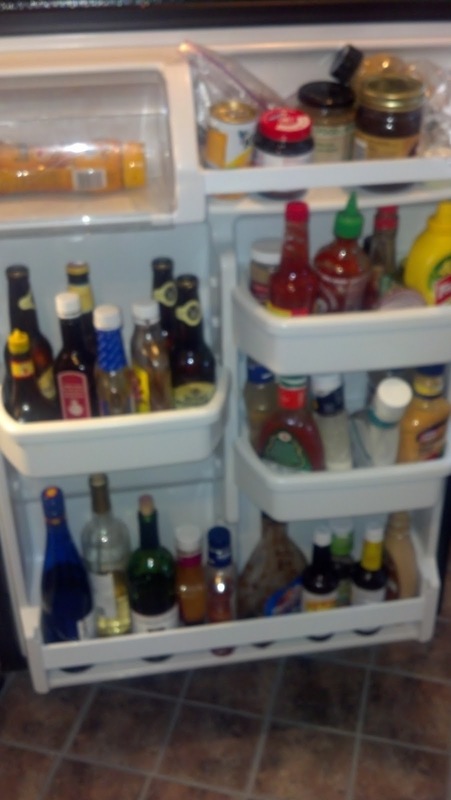 I will blog daily with what we've used from the stockpile, and maybe a picture here and there if it's something interesting. 4. At the end of January, I will upload new pictures of my stockpile and my total spending for the month. I may even go for round 2 during the month of February! 5. We will still go out a couple of times for dinner during January, because we've got Restaurant.com certificates to use, and it's nice to have a date night once in a while! 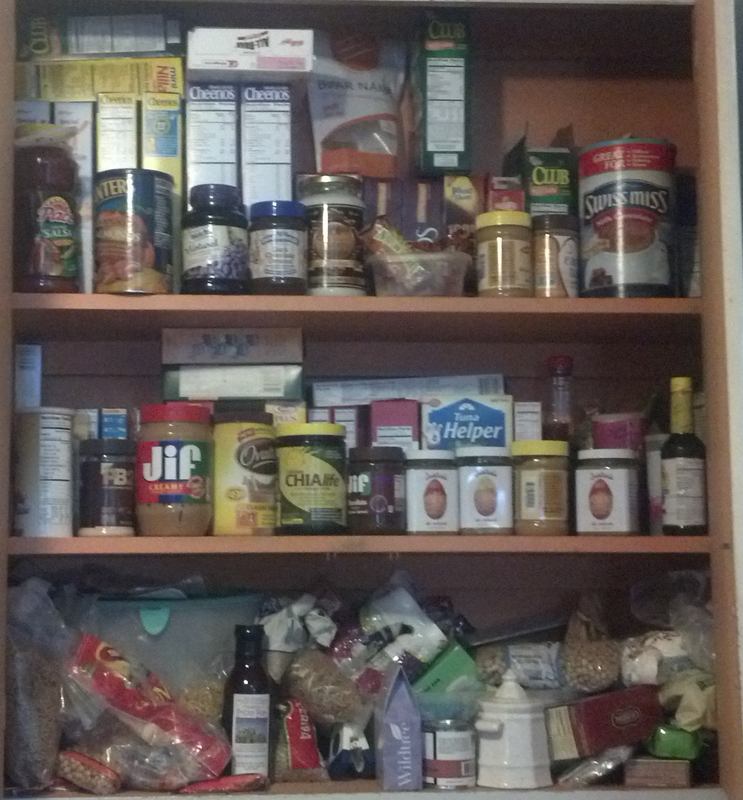 Mostly dry goods and nut butters (I buy a lot of almond butter from Vitacost.. love that stuff in my oatmeal). 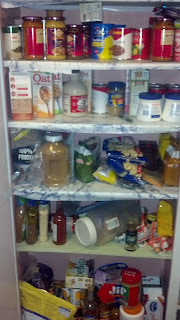 There's a hodge-podge of randomness on the bottom shelf. I guess I'll have to sort through that and find some good recipes to use! Fridge door, or as my husband calls it.. "condiment box"